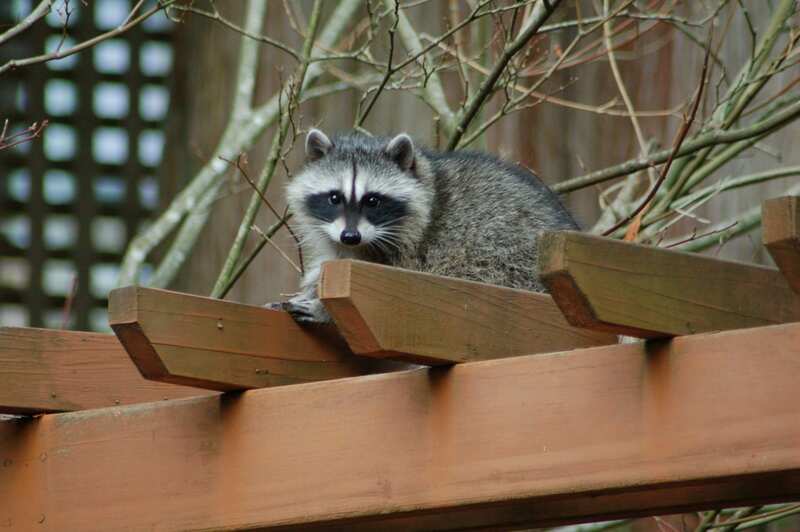 On November 15, the BC SPCA Animal Helpline received a call from a member of the public in the Arbutus Ridge area of Vancouver, who found a raccoon trapped inside a home-made electrified cage trap. The caller heard the young raccoon crying throughout the night and found the raccoon trapped in a modified cat trap on an adjacent property. The trap was connected to an extension cord, apparently causing an electric current to run through the all-metal trap. The caller immediately unplugged the trap and freed the raccoon, and then called the BC SPCA Animal Helpline. While trapping raccoons is legal (with restrictions), it’s illegal to use electrocution on raccoons. The incident also highlights the dangers of DIY pest control. The trap was set in the open, where it could have easily captured a cat or other animal, and the home-made electric modifications could easily fail, or harm an unsuspecting child or other person. 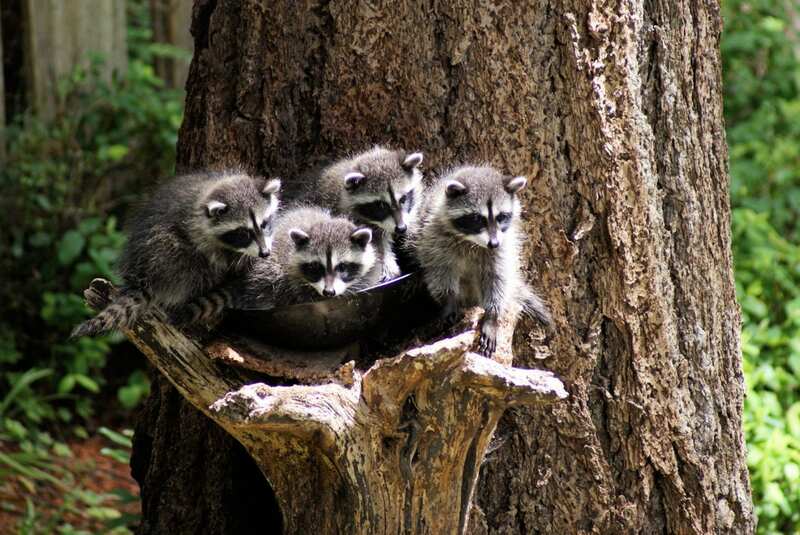 Rather than harmful and ineffective DIY methods, the BC SPCA encourages members of the public to first remove raccoon attractants and try mild humane harassment to discourage raccoons, and consult our best practices for raccoons (PDF). If a raccoon enters a home or shed, call an AnimalKind company that uses exclusion techniques instead of trapping/relocation or killing. AnimalKind companies focus on the effective removal of animals and preventing future problems. When a raccoon dens in a home or other structure, the company installs a one-way door so the raccoon can get out, but not back in. Once the raccoon is out, and the company makes sure no babies are left behind, they seal and repair the house to prevent animals from returning. The BC SPCA does not recommend trapping and relocating wildlife – it is not a permanent or humane solution. Animals often injure themselves and may die trying to escape a trap, and you also risk separating a mother from her babies. Relocated animals have to set up a new home, and may starve trying to find food or get into fights with other animals over territory.